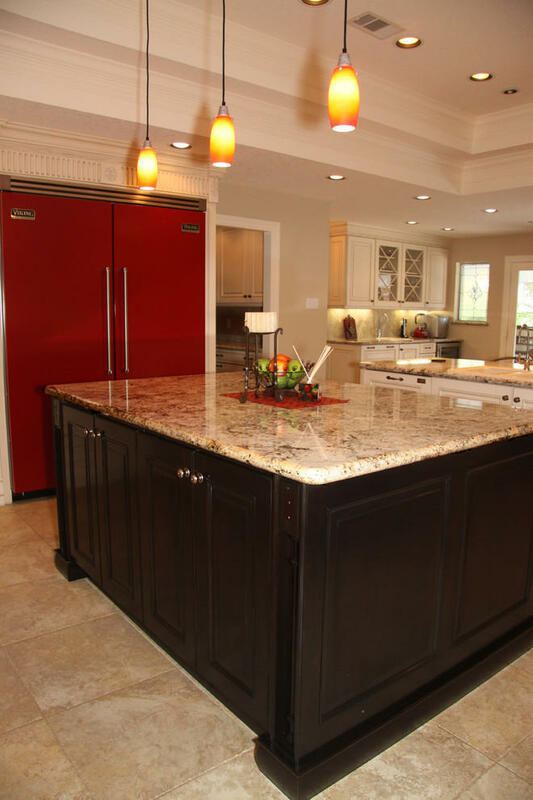 This traditional kitchen features heavy carved accents, white high-end Wood-Mode custom cabinets accented by red Viking appliances and accents. Two islands and a double tray ceiling anchor the center of the kitchen. 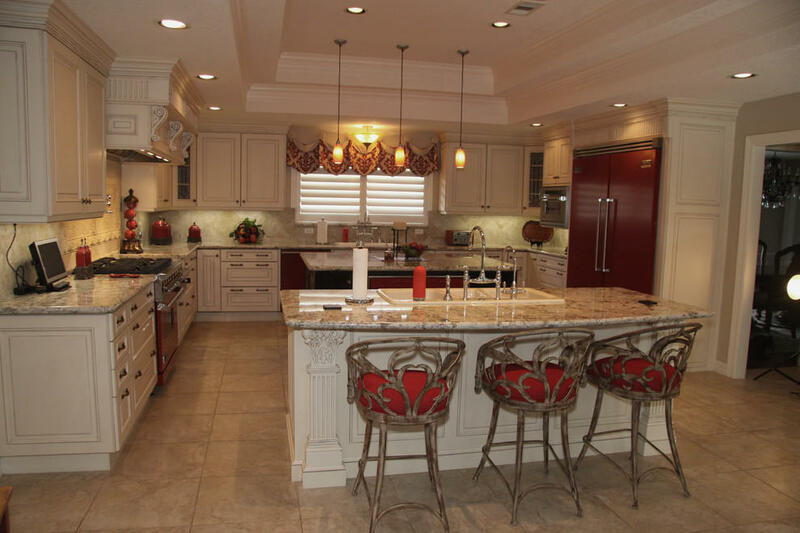 Traditional white kitchen with bright red appliances & accents & carved accents. Two islands and a double tray ceiling anchor the center of this chef's kitchen. Storage of these frameless cabinets is maximized with lots of drawers and upper cabinet storage. 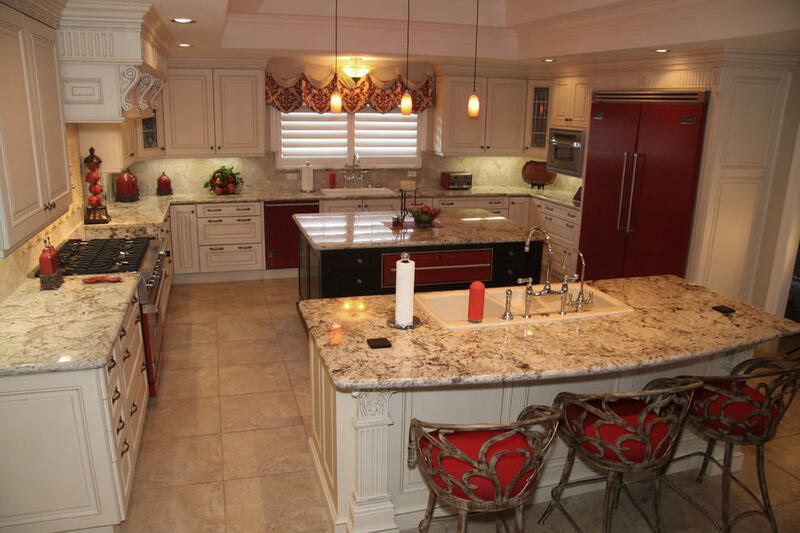 Traditional white kitchen has a dark cherry island, with bright red appliances & accents & carved accents. Two islands and a double tray ceiling anchor the center of this chef's kitchen. Storage of these frameless cabinets is maximized with lots of drawers and upper cabinet storage. Bright red Viking side-by-side freezer & refrigerators. 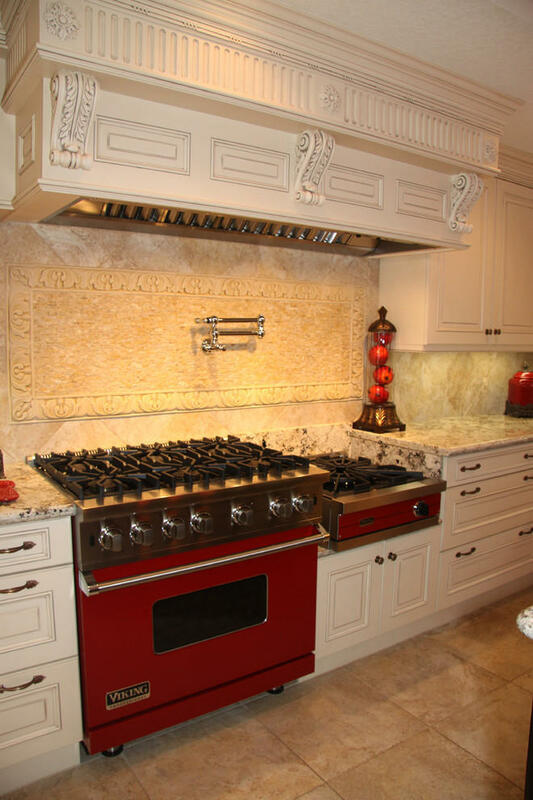 Bright red appliances add color and functionality to this chef's kitchen. Massive custom commercial style hood adorned with heavy carved wood accents. 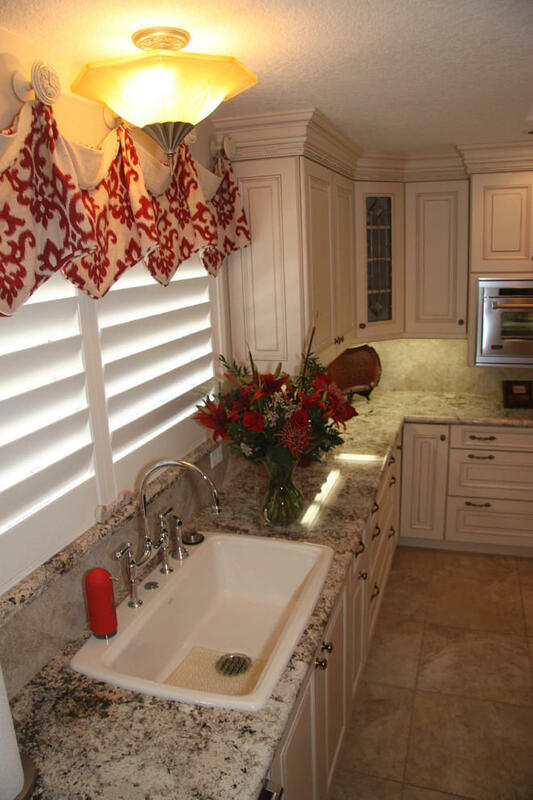 Storage of these frameless cabinets is maximized with lots of drawers and upper cabinet storage. 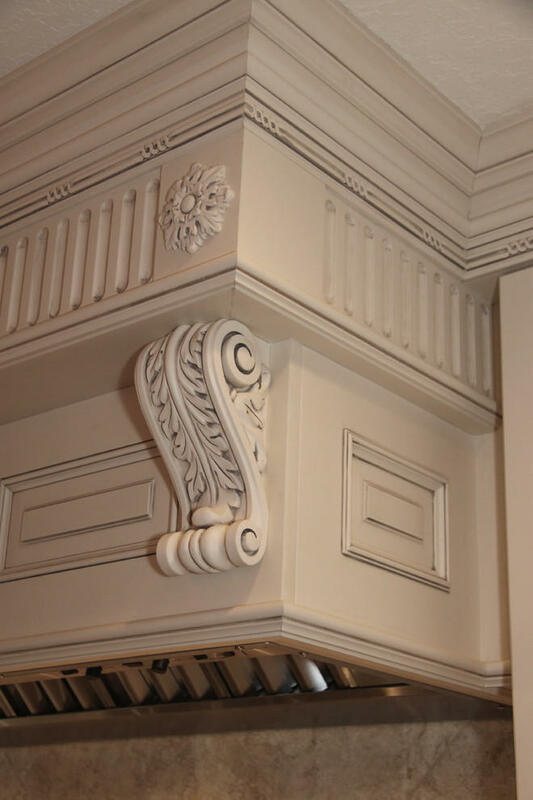 Heavy wood carvings adorn this massive commercial style hood. 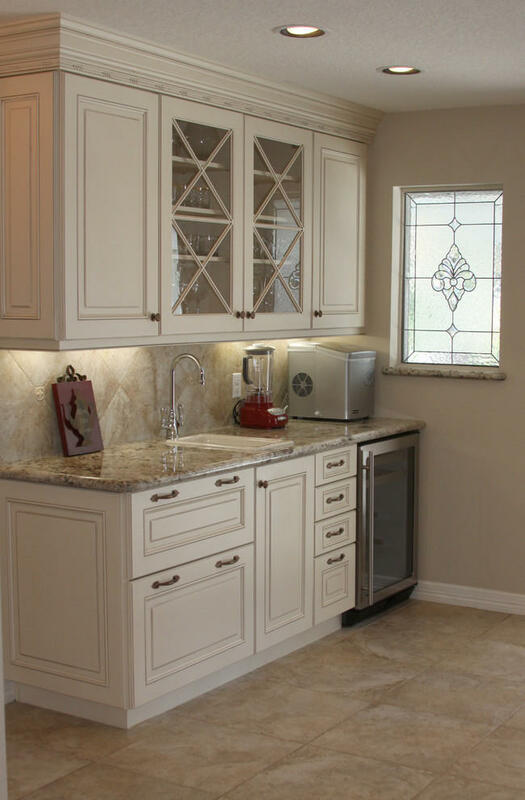 Wet bar features x-style glass doors, a deep drawer for liquor bottle storage, and a wine chiller. Large single-bowl sink for washing pots & pans, with it's own dishwasher. Viking steam oven is seen above & right. 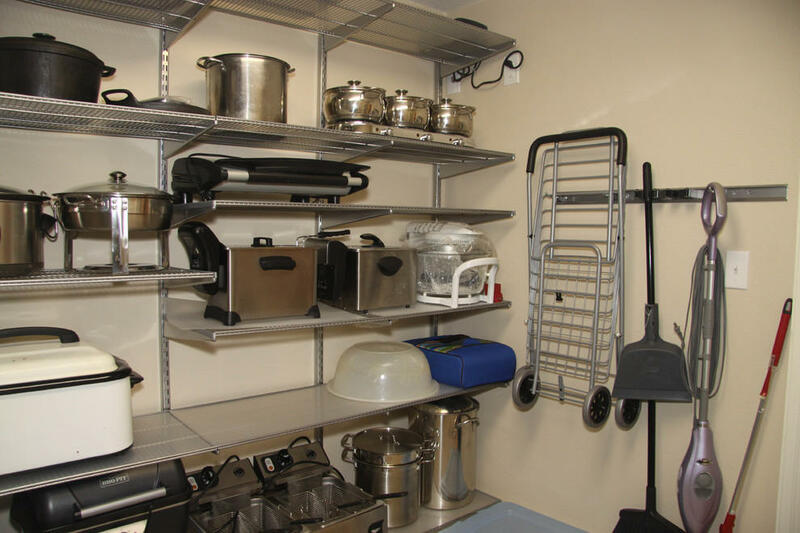 This huge walk-in pantry (only one wall shown) features Elfa shelving from The Container Store. This ingenious fold-out cabinet houses spices & oils.